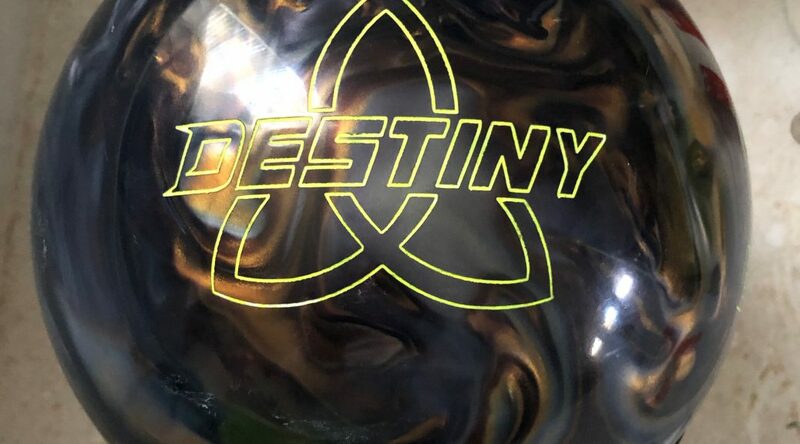 These Destiny balls offer awesome bang for the buck. These are 3 balls that could theoretically offer a complete arsenal for just about the price of one high end ball. Buy the Ebonite Destiny balls at PureItBowling.com. Value is a no-brainer on these balls. Excellent bang for the buck. 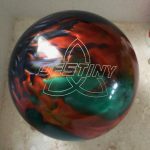 The Ebonite Destiny balls use the Cyclone Torque symmetrical core inside the GB 11.2 coverstock. I’m giving these a collective score. Here’s the thing. 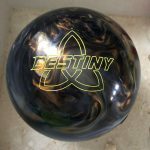 If you are seeing typical medium or low volume house shots, these Destiny balls could probably be as high as A+, collectively. The balance of score is that even the solid isn’t quite enough for higher than medium conditions. 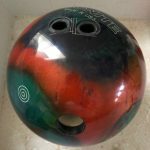 To be fair, Ebonite doesn’t claim these balls are for that. The Destiny balls are very predictable. They don’t have the characteristics that cause uncalled for over-reaction. Starting with the Solid, I will say it’s probably my favorite. That’s because the blend of the solid coverstock with this medium strength core gives it the most predictability and smoothness of the 3 balls. It’s not hard to get length and the ball comes off the spot smoothly. If you have lots of friction, it can certainly display more aggressive characteristics and come off the spot harder. The 11.2 cover can come off the friction hard, especially with a medium/weaker core that stores more energy. 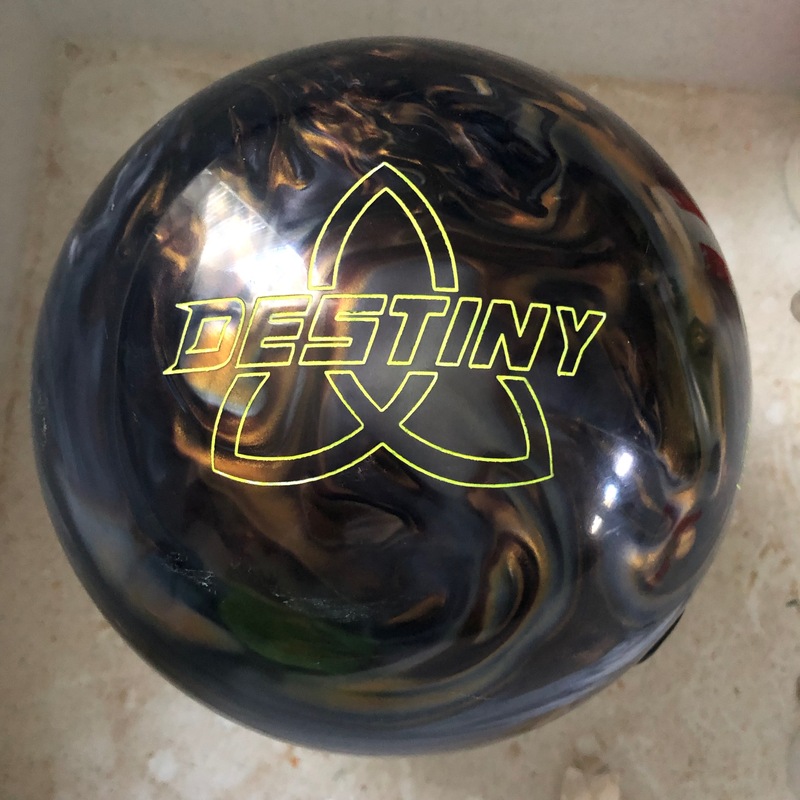 I liked the smooth but booming shape of the Destiny Solid. Moving to the Hybrid it is what you expect in relation to the Solid. It’s out of box finish gives it added length. Hitting friction makes it bounce a bit harder down lane. Staying in oil means it definitely floats more than the Solid with less drive. So the Hybrid will look better for me with some breakdown or a bit less slick house shot. 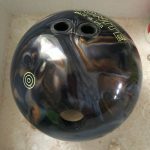 This ball can definitely be the goldilocks on the right condition. It was a little in between for this pattern. Too long to play in the slick part of the lane and too strong to play in the dry. With the Pearl, it was a touch easier for me to use over the hybrid on this house pattern. It displays a little weaker cover characteristics so the added length means I could get a little closer to the friction line. It can still be quick off the dry. 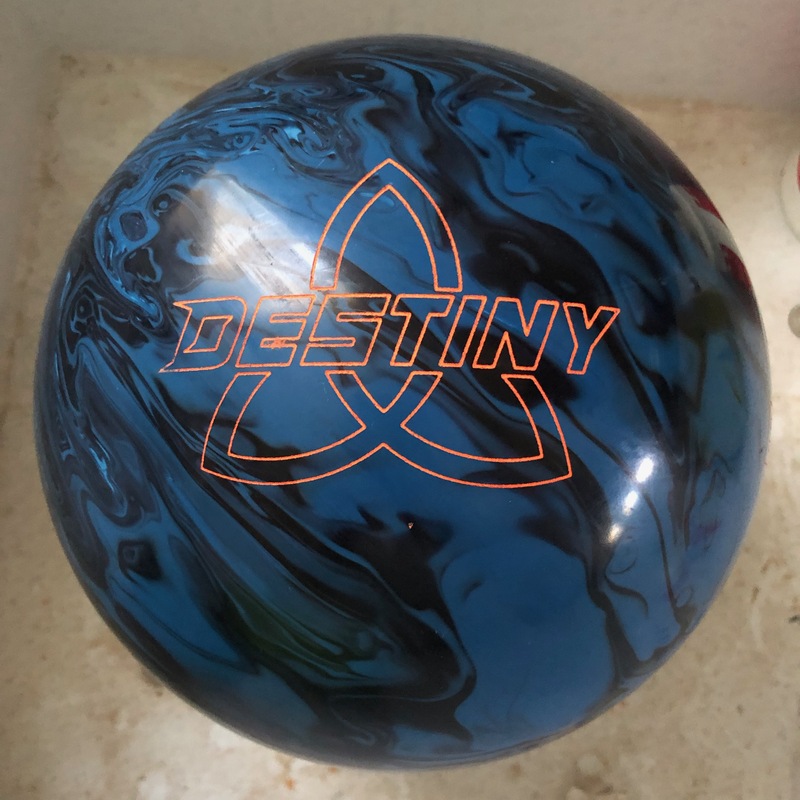 I can tell you when the conditions are a little lighter than we see in the fall here, this ball and the others in the line look especially good. Sean is up next and again, you can see the capabilities of the ball. Even for Sean, while the solid requires some room, it is tight on this slicker pattern. Because it’s not a huge motor or huge cover, misses out don’t bang their way back from that deep and misses in still nose up. But focusing on the ball motion is key as these balls look so good and matched up to the lighter conditions where these flaws are masked. Misses out will drive back. Misses in don’t hold as it stores a bit too much energy. Even the lower axis rotation shot that Sean uses occasionally worked fairly well with the Solid. For the Hybrid, Sean didn’t see a very different reaction than I. The shape again is very nice. Just need to match to a little lower volume house shot. Bryan is up next and again, I would focus on the shape of the ball reaction. For Bryan, the lower end pieces show they are a bit out of their element for him as he would typically be using aggressive pieces on this condition. So while he lost forgiveness due to how tight it is, you can still see the shape of the equipment. You can also see when the balls are not enough in certain cases. Even with the solid, you can see that it just doesn’t have enough traction to come off the spot hard enough to drive through the pins consistently for Bryan on this pattern. Interestingly, when Bryan switches over to the hybrid, he sees more pop and drive through the pins. Since he is playing very close to the friction, he is getting that extra store energy from the change in coverstock to have a better look. But it was still touchy as he could also nose up from a small miss. 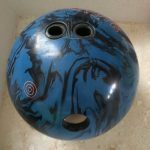 Interestingly, moving onto the pearl and this was the best match up of the three balls. He now got the length but even more drive from the friction. The added stored energy meant a more consistent drive and move off the spot.